Includes the names: Eleen Schrecker, Ellen W. Schrecker, Ellen Schrecker Ed. Ellen W. Schrecker, historian of McCarthyism, is co-author, with John E. Schrecker, historian of modern China, of Mrs. Chaing's Szechwan Cookbook, the recipes of Chiang Jung-feng, the cook they met in Taiwan. 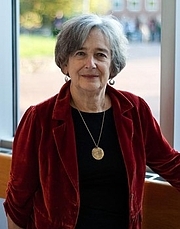 Ellen Schrecker is currently considered a "single author." If one or more works are by a distinct, homonymous authors, go ahead and split the author. Ellen Schrecker is composed of 4 names. You can examine and separate out names.